The 8th grade Humanities Expedition, Justice, is in full swing! Students are meeting with experts on a daily basis, and bring back diverse views on the Juvenile Justice system. Students obtained data related to the program and will work with it throughout the next weeks in order to create a provocative infographic on their specific topic. Infographics will be displayed at the 6/1 evening culminating event , during which students will guide families and community members to view the different pieces and question the authors. 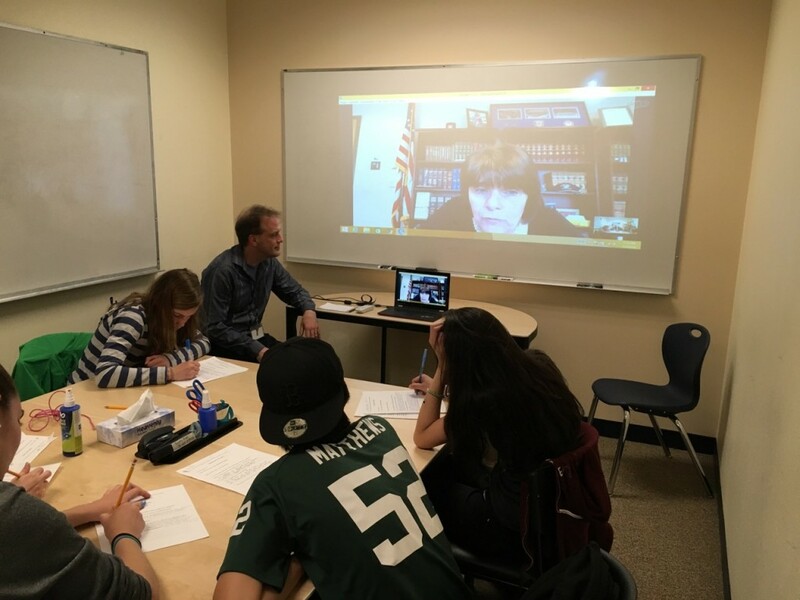 District Attorney Marian Ryan, who is known for her community outreach to students, Skyped in on Tuesday to a group of 10 students. She explained that the purpose of the diversion program is to keep youth out of court and detention centers. 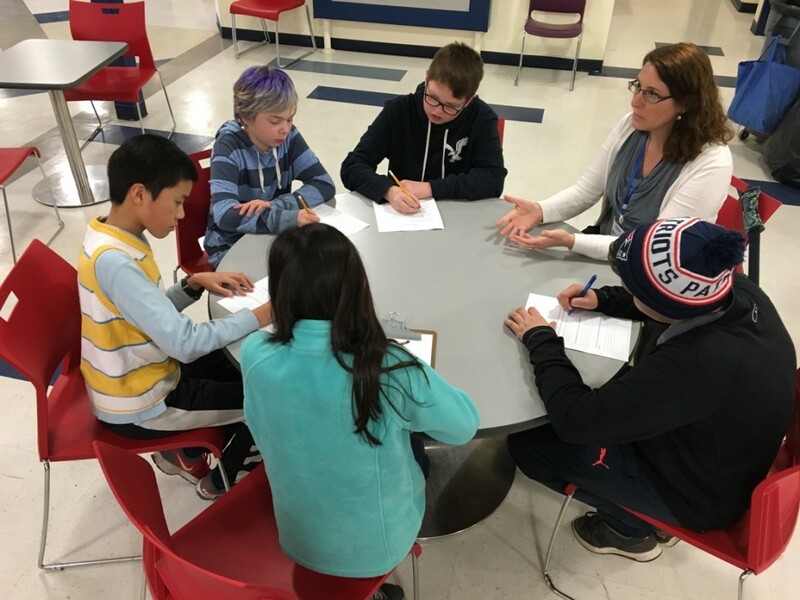 Bethany Hadley, ACS court counselor, met with two groups of students to also discuss diversion and the role of a court counselor, as well as what types of juveniles ACS serves.